There is just something about Southeast Asia, something special. Maybe it’s the sizzling sound of street food being prepared, the heat and constant humidity, the organized chaos or the unmistakable smell of incense. 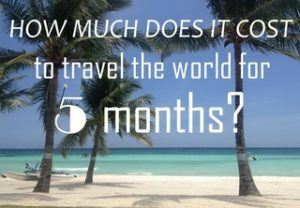 Whatever it is, Southeast Asia is special and Thailand in particular is a great place to visit! 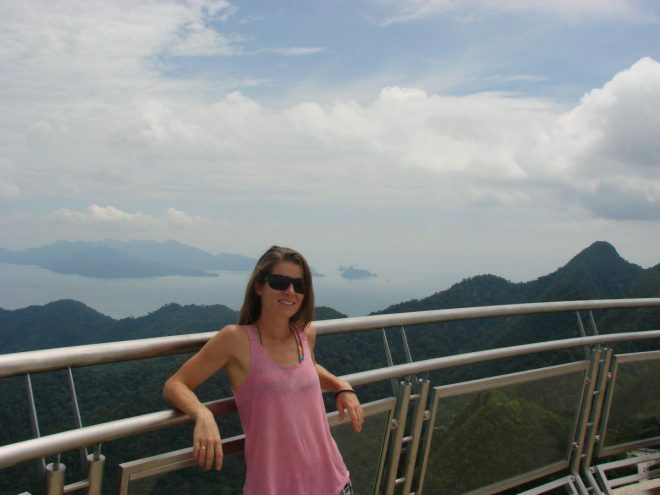 Thailand is a wonderful country for all types of travelers, be it single (female) travelers, couples or family travel. I love how there is both an abundance of culture as well as amazing nature. Add to this a delicious cuisine, affordable accommodation and welcoming friendly people and it’s not surprising Thailand is still one of the most popular countries in Southeast Asia. 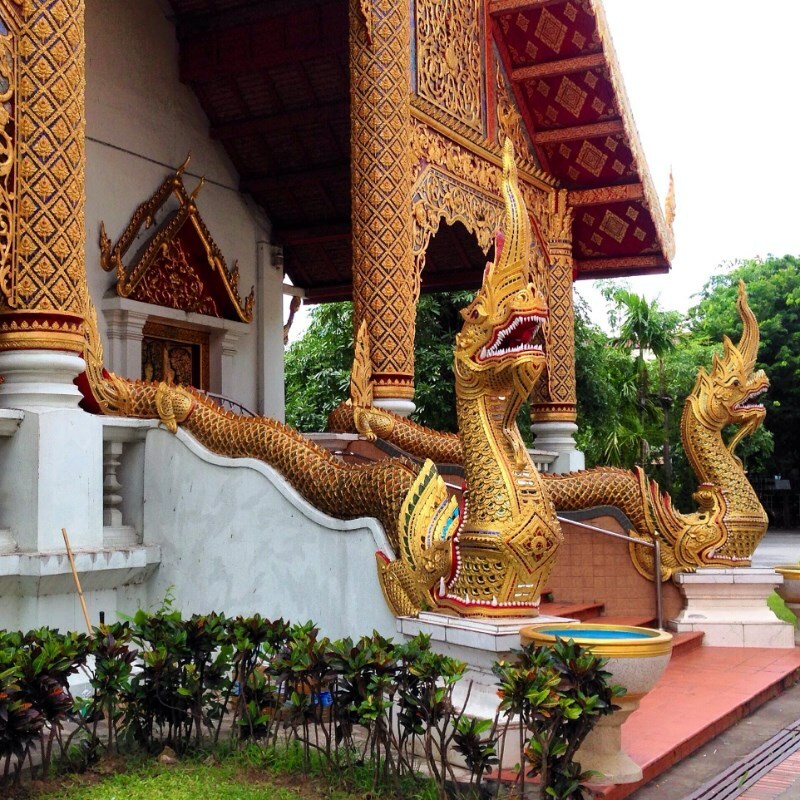 I have been to Thailand twice and have not nearly seen everything the country has to offer. 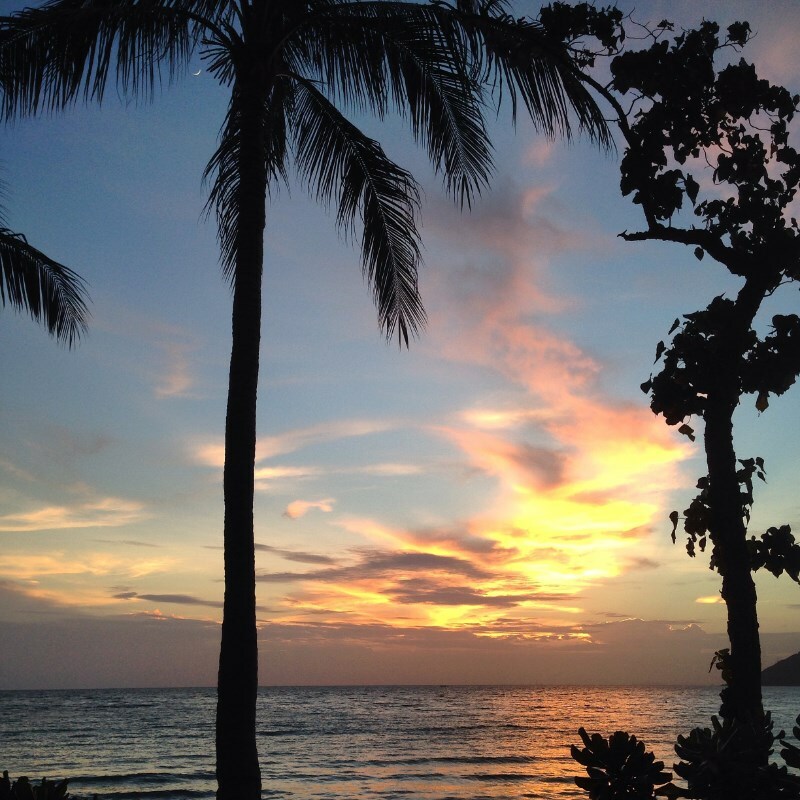 Nevertheless, I have seen my fair share of beautiful places in Thailand which I’m happy to share with you! In the map below you can find all the places listed in this post. 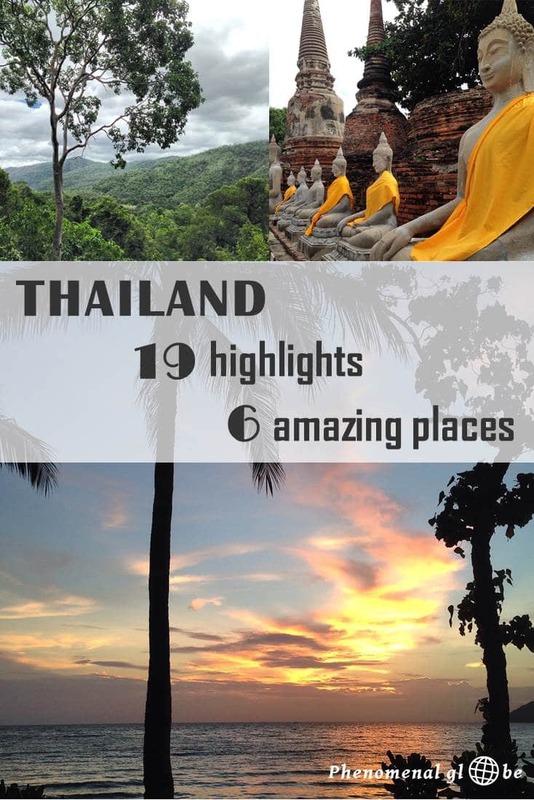 This list would not be complete without Bangkok, the busy and bustling capital of Thailand. Bangkok has lots of rooftop bars and one of the best is the Red Sky Rooftop Bar, you’ll have a beautiful view over Bangkok. Arrive before sunset and stay until the last light has faded away and the city has been lit up by thousands of twinkling lights (and flashing billboards). 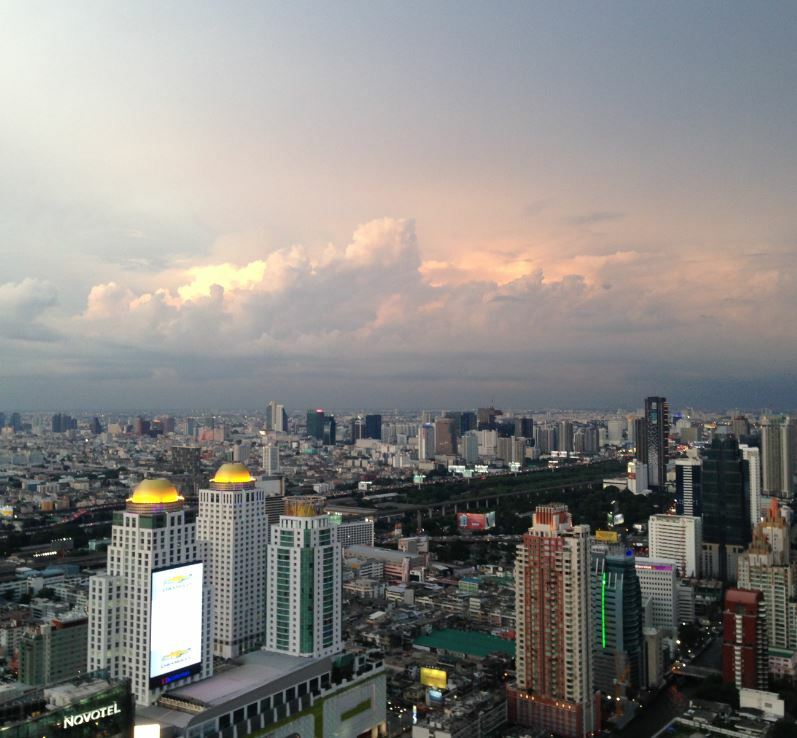 Bangkok is definitely a city to visit more than once, there is so much to see and do! 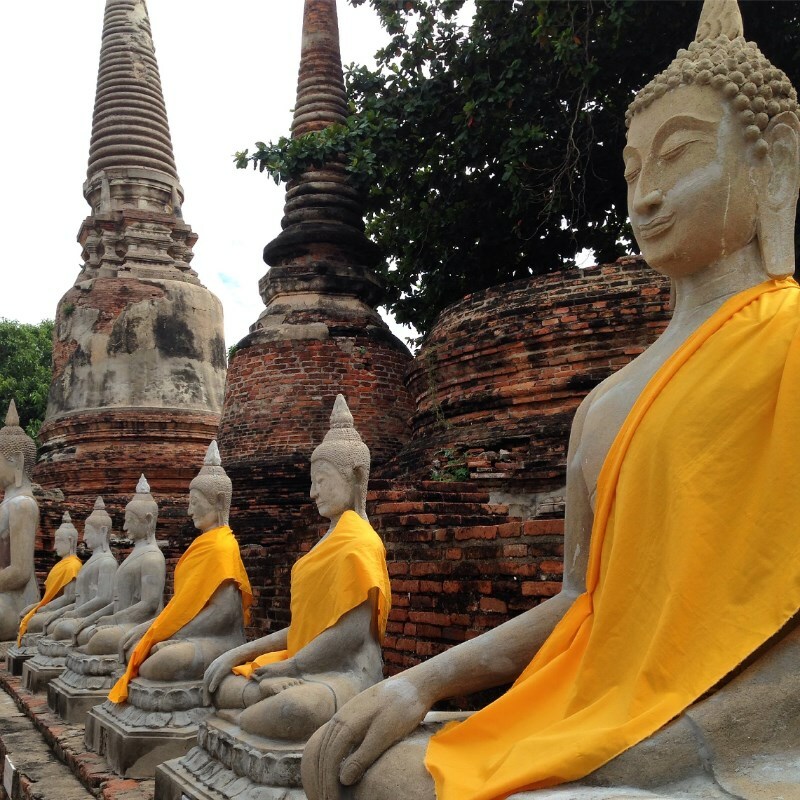 Yes, Bangkok is busy… But if you know where to look there is some peace and quiet to be found as well. 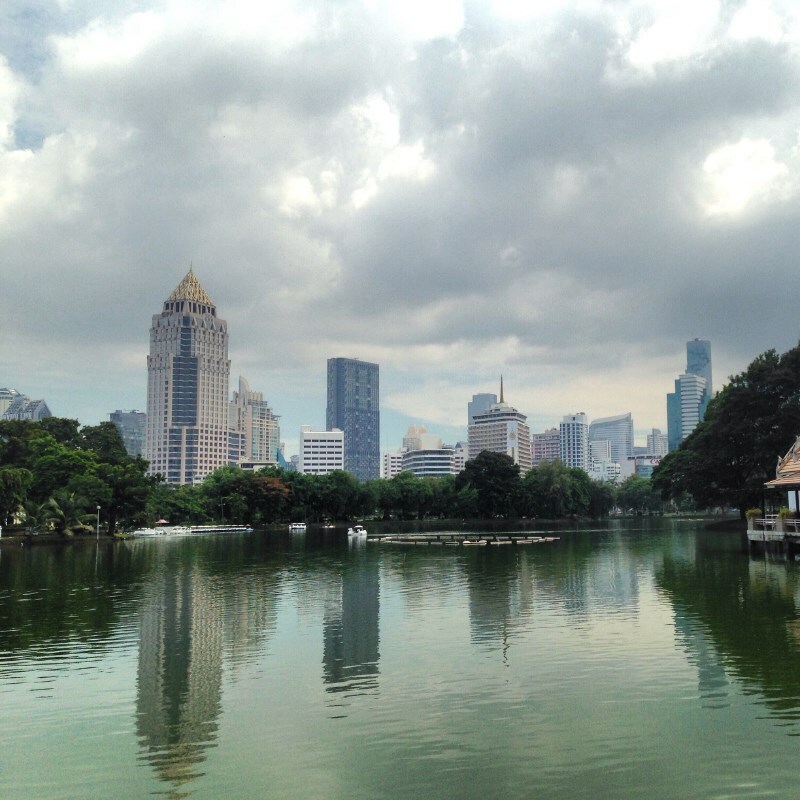 One of these places is Lumpini Park, a great place for an afternoon stroll! 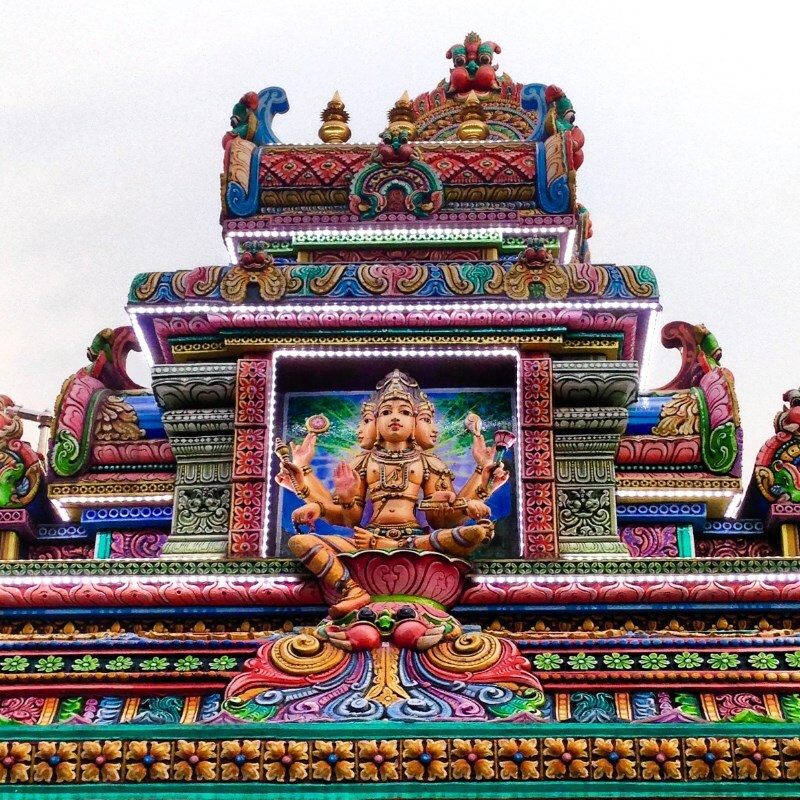 I love how there is a Sri Mariamman Temple in pretty much every big city in Southeast Asia. Obviously there is one in Bangkok as well. A very colorful and beautiful one no less! 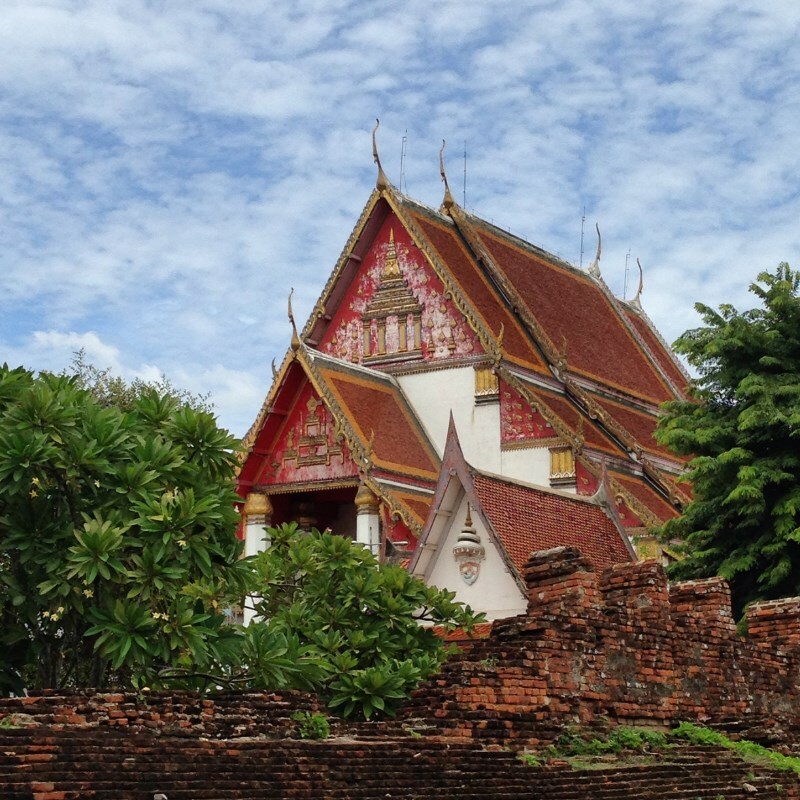 A very interesting place to visit is the Jim Thompson house. Jim Thomson was an American business man who fell in love with Thailand and played a crucial role in reviving the Thai silk industry. 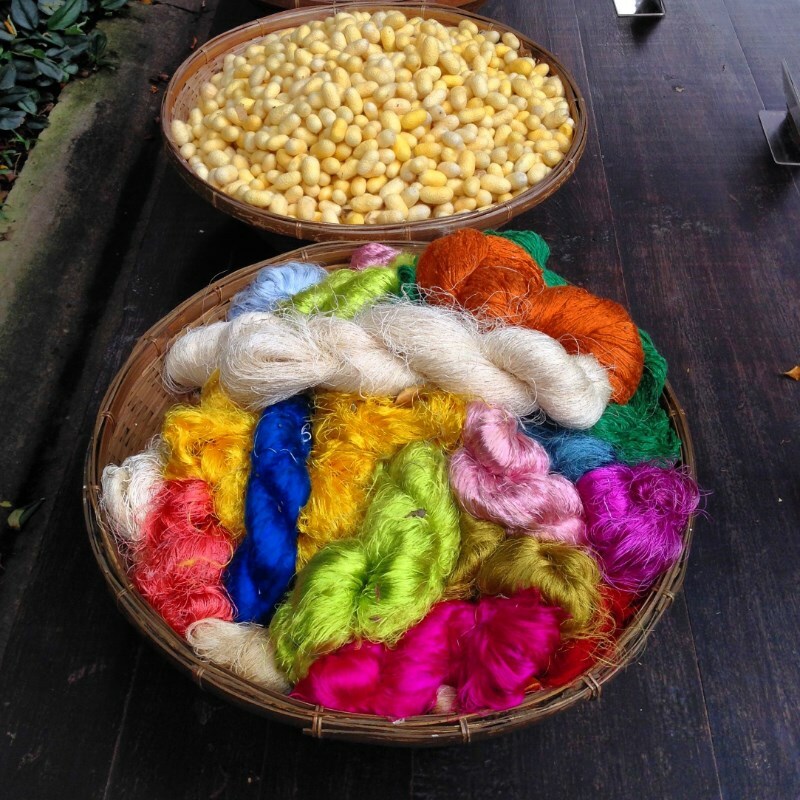 In the Jim Thompson house you can learn more about his story and the impact he had on the silk industry. Even if you are not into silk the house is still a very worthwhile visit, it’s beautifully constructed and decorated with amazing art. The best way to get around Bangkok is cruising over the Chao Phraya River and admiring the ever changing skyline. Read more about Bangkok boat transport here. I stayed at the beautiful Ramada Plaza Menam Riverside. Large rooms, swimming pool and a very extensive breakfast buffet. They offer a free shuttle boat (every 30 minutes) to Sathorn Pier where you can transfer to the Skytrain (BTS at Saphan Taksin). Find the best deal for Ramada Plaza Menam Riverside on Agoda or Booking. 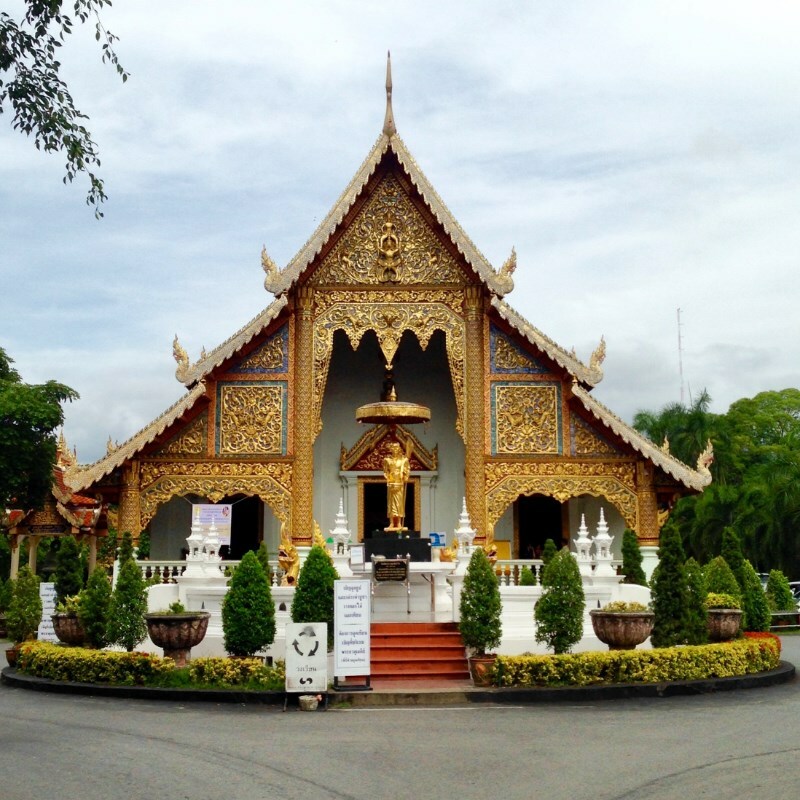 Chiang Mai is the city of temples… One of these beautiful temples is the Wat Phra Singh complex. Another particularly beautiful one is Wat Bupparam. I love the layered roofs of these types of temples. The people of the Elephant Jungle Sanctuary are doing great work. You won’t find any elephant riding or elephants doing tricks (horrible). Instead you can help with the feeding, washing and mudding of the elephants. Which is obviously much better for these gentle giants and also lots of fun for you! 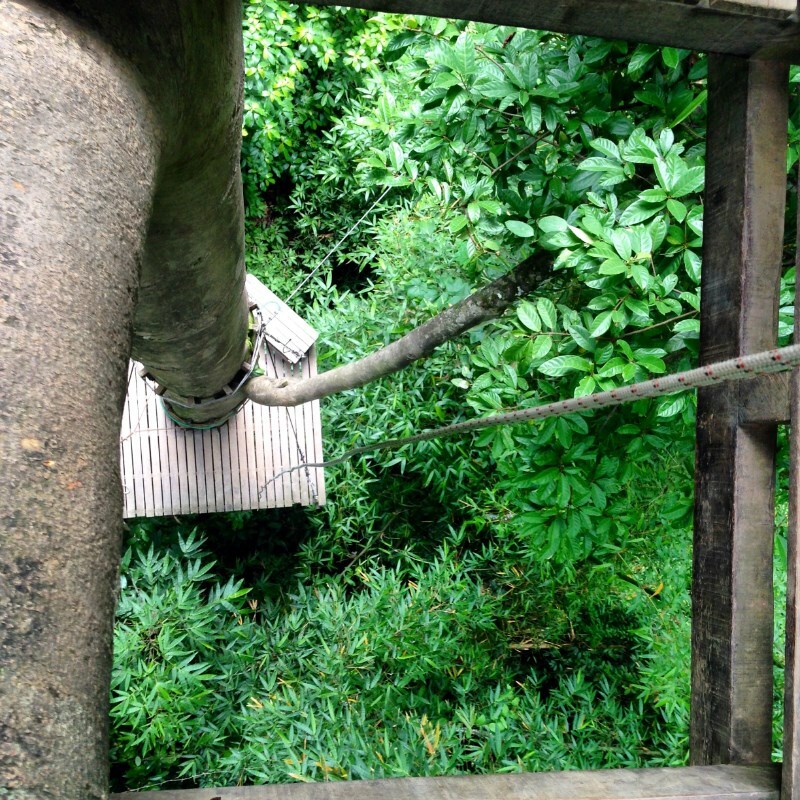 Another great activity in Chiang Mai is the Flight of the Gibbon. Don’t worry if you have never zip lined before. Neither had I and even though I have a bit of a fear of heights, it was a very cool experience! 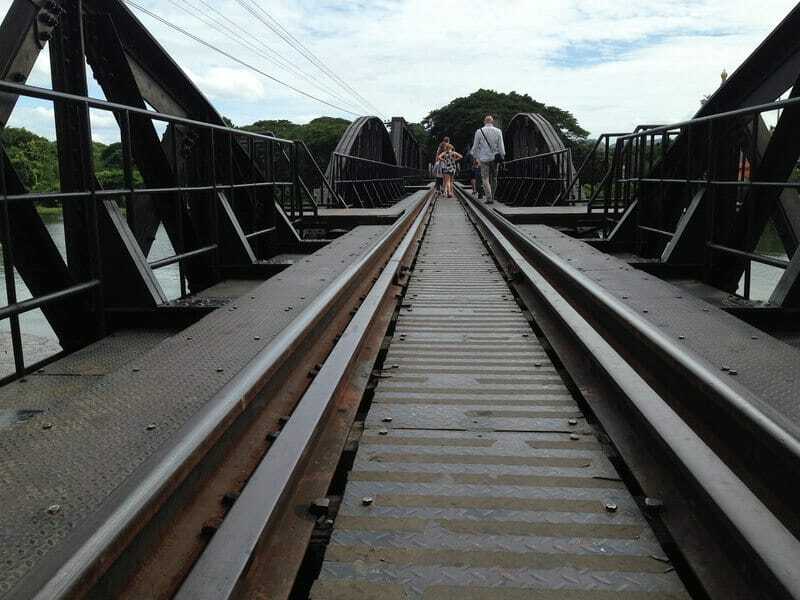 There are 30 platforms, 18 zip lines and the longest zip line is 800 meters! 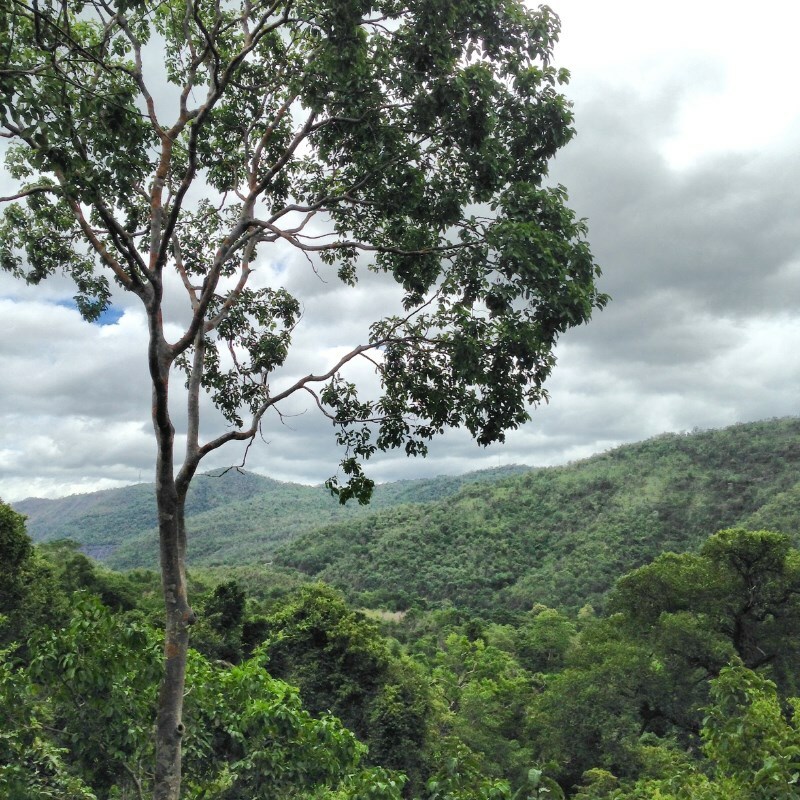 I loved flying through the green canopy and dense jungle, it was exhilarating! The staff is very knowledgeable, speaks English and make sure all safety protocols are being followed. I didn’t feel unsafe once during my zipline experience and would love to do it again! I stayed at the Park Hotel, a classy hotel with large and light rooms. There is a swimming pool on the roof and they offer a free shuttle service to the night market (every hour). Find the best deal for the Park Hotel on Agoda or Booking. 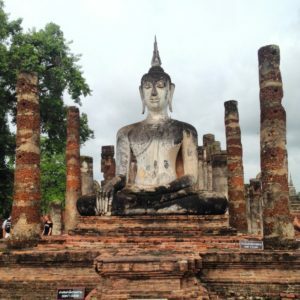 The ruins of Sukhothai are the only remains of the ancient Kingdom of Sukhothai which was founded in the 13th century. Sukhothai means ‘Dawn of Happiness‘ and for several decades this place was indeed a happy place, the first kingdom of Siam (Thailand). 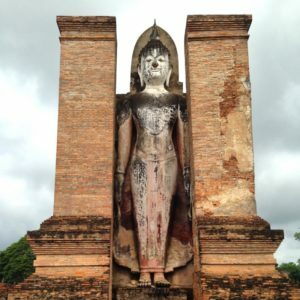 Sukhothai is a UNESCO Heritage site and there are hundreds of old Buddha statues, crumbling buildings and dilapidated stupas. I recommend to rent a bicycle to explore the site because Sukhothai Historic Park is quite spread out. Bike rental shops can be found across the entrance. I stayed at Le Charme Hotel, a nicely set up accommodation with small bungalows arranged around lovely ponds. Swimming pool and open breakfast area. Very close to the entrance of Sukhothai park. Find the best deal for Le Charme Hotel on Agoda or Booking. 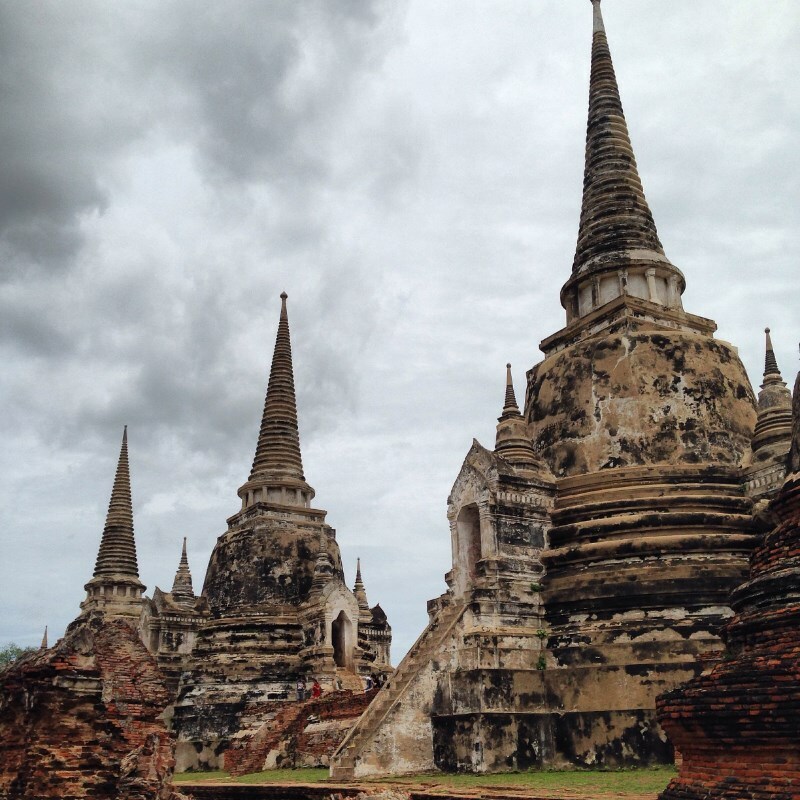 If you haven’t seen enough temples in Sukhothai, continue temple hopping in Ayutthaya. 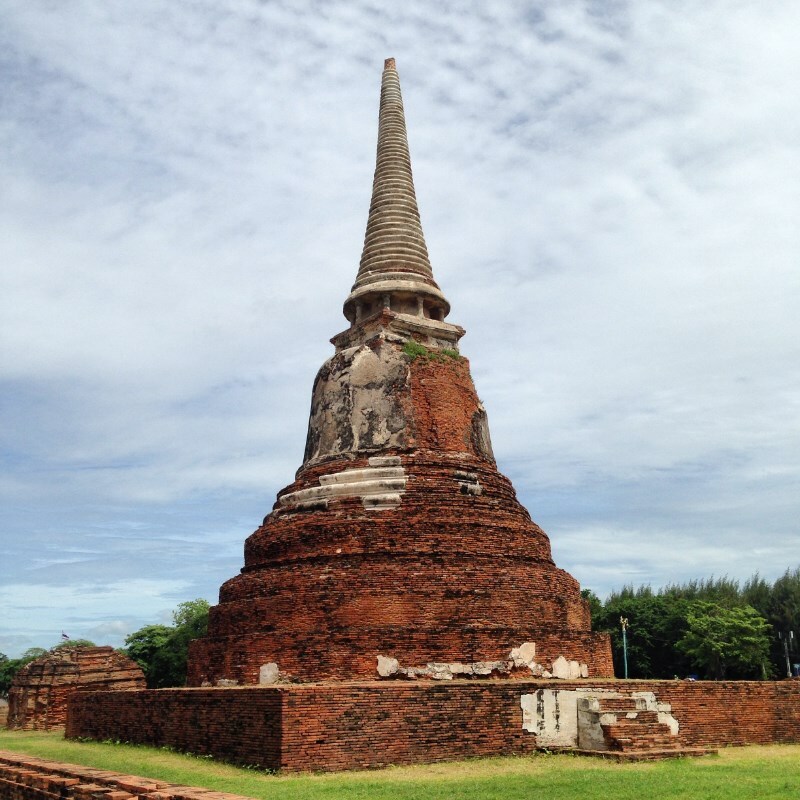 Ayutthaya was the second kingdom of Thailand (from 1350 to 1767). The numerous temples are in various states of decay, from barely more than a pile of rocks to still fully functional Wats with golden Buddha’s inside. At Wat Yai Chai Mongkhon, many statues were wearing new brightly colored robes. I was told this was because Buddhist Lent had just begun and the robes are donated to the temples. 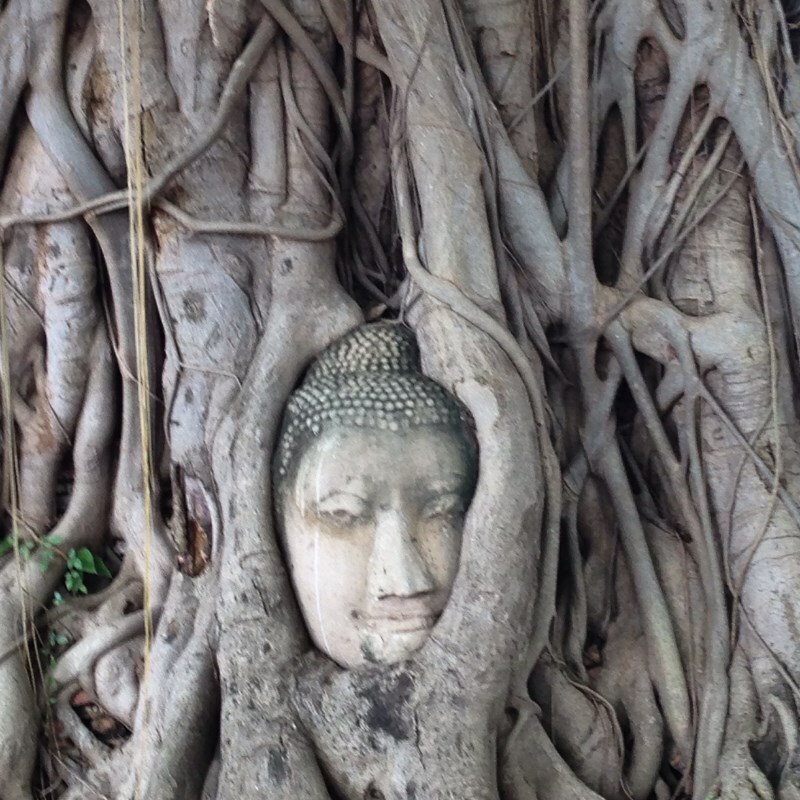 When you are in Ayutthaya you must visit the famous Buddha head in the tree! Even though you probably have seen this picture many times, it will still be impressive to see this strange phenomenon in person. A beautiful blend between culture and nature! When visiting places like Sukhothai and Ayutthaya, I always find it astonishing how people were able to build these impressive structures without any modern equipment. This is beautiful Wat Phra Mongkhon Bophit, a pretty sight against the green trees and white blue sky. Classic Kameo is a very modern and beautiful hotel! 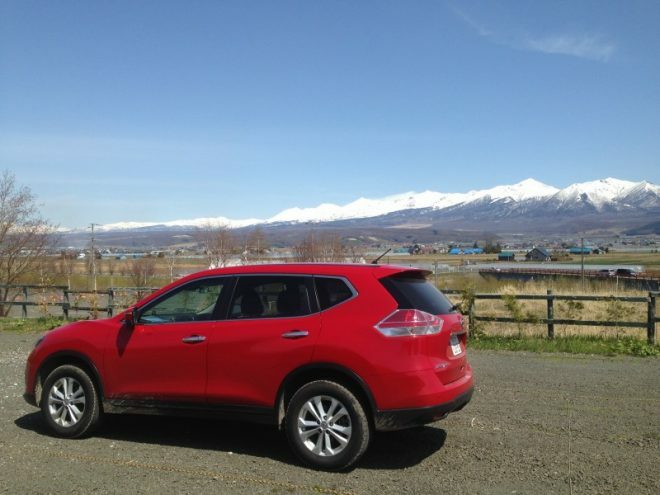 It’s not very centrally located but I found it to be excellent value for money. Fitness area, beautiful swimming pool and lovely rooms with a modern bathroom and super comfortable bed. The breakfast buffet was extensive and the staff very welcoming. Find the best deal for Classic Kameo Hotel on Agoda or Booking. Be sure to visit the Jeath War Museum and the Don Rak War Cemetery to learn more about the tragic history of this area. While places like these are difficult to visit, nevertheless, I think it’s crucial to do so. Hopefully we will learn from the mistakes we made in the past. 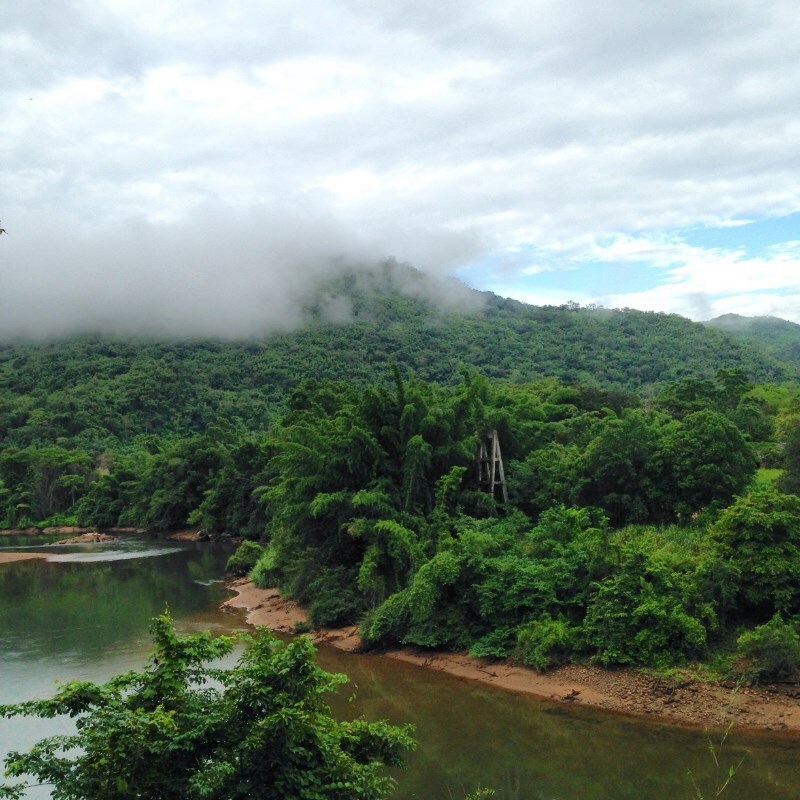 Kanchanaburi is a very green region and after temple hopping around Sukhothai and Ayutthaya this the perfect place to relax and get back to nature. 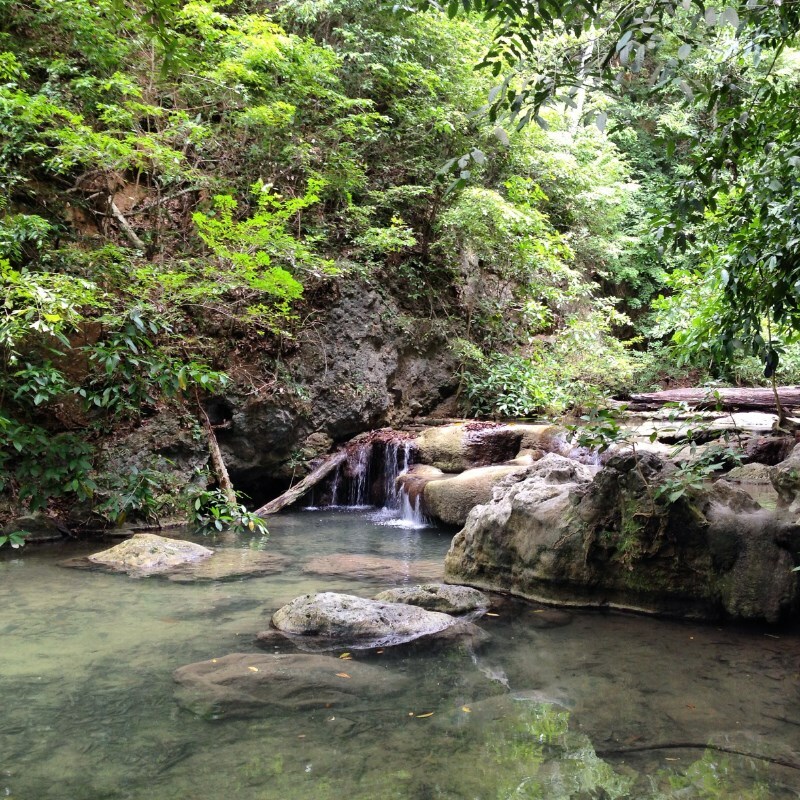 At just an hour drive from Kanchanaburi you can find the glorious mountains of Erawan National Park! Besides beautiful mountain views there are also amazing waterfalls in Erawan. You can climb all the way to the top level if you like (there are 7 levels in total). My favorite levels were 4 and 5. Home Phutoey isn’t actually located in Kanchanaburi, it’s about an hour from the center. That being said, this is a gorgeous accommodation located in the jungle. There is a swimming pool overlooking the lake and the bungalows are arranged around large ponds. The interior of the bungalows is nicely done and breakfast and dinner is served at the restaurant overlooking the river Kwai. Find the best deal for Home Phutoey on Agoda or Booking. 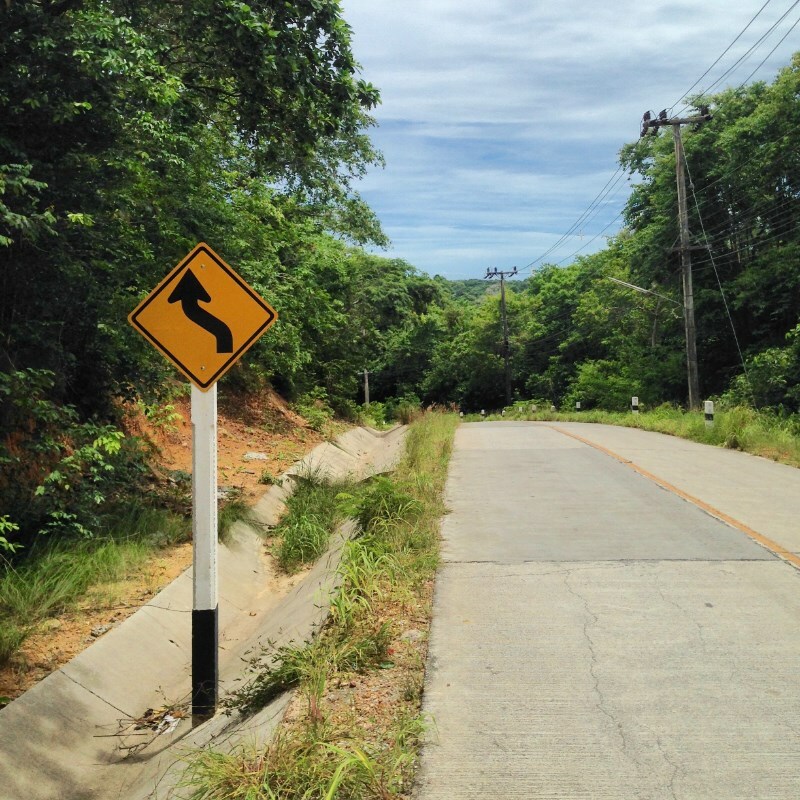 In 2015 I visited Koh Tao in the South of Thailand and while I loved the scuba dive scene and our stay at the luxurious Tarna Align resort, I found the island way too touristy. You can explore the island on foot (be sure to bring plenty of water and wear lots of sunscreen), there isn’t much traffic and only a couple of roads. Walking around the entire island will be quite far though, you can also rent a scooter or songthaew to get around. 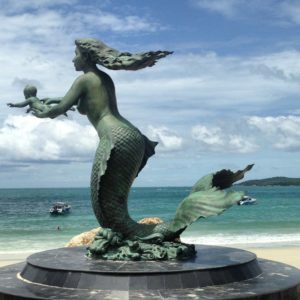 In the main town Hat Sai Kaew there is some nice art and architecture like the Mermaid sculpture and the main pier. Looking for more tropical islands in Thailand? Read how to visit Krabi on a budget! 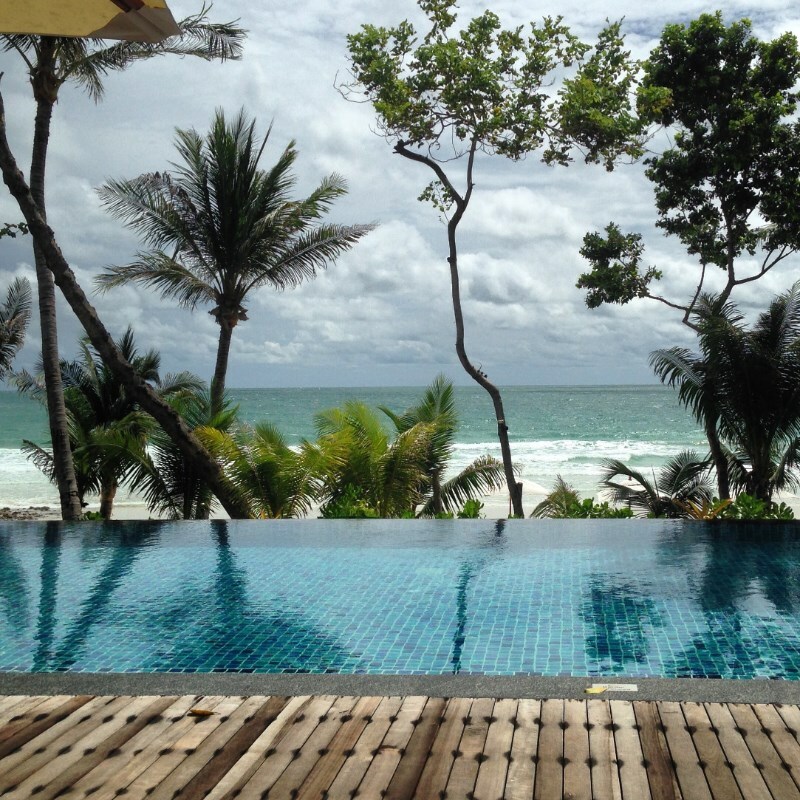 Find the best deal for Ao Prao Resort on Agoda or Booking.